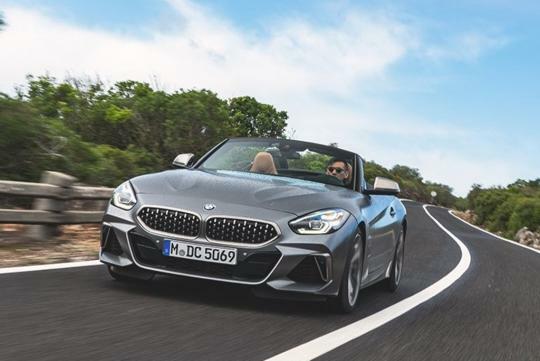 It seems like BMW has quietly revised its Z4 M40i's 0-100km/h timing after Toyota claimed its GR Supra could achieve the same sprint in 4.1 seconds. According to Carscoops, BMW, being conservative as usual with the acceleration numbers, underrated how fast its M40i's is when they quoted the car's century timing at 4.4 seconds. This is despite the Z4 having 382bhp versus the GR Supra's 335bhp. Without wanting to go through the trouble of explaining why they were so conservative with their figures, BMW 'updated' the Z4 M40i's 0-100km/h timing to 3.9 seconds, beating the lesser-powered Japanese sister car by 0.2 seconds. At the same time, BMW also realised the vehicle’s curb weight(1,561kg) vs the GR Supra's 1,540kg. Even though the BMW is heavier by 21kg, its additional 47bhp should be more than enough to allow it to beat the GR Supra as BMW claimed. Haha, same with my M140i, with the same engine as the Z4 and Supra. Quoted 4.6s, but I'm sure it can do a couple tenths better. BMW always underrate, both power and timings.